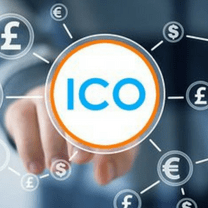 ICO is the acronym for Initial Coin Offering which refers to the highly unregulated process of raising funds for a cryptocurrency project. The process involves selling part of the cryptocurrency to early investors in exchange for bitcoin or legal tender. This is almost similar to IPO where investors purchase company shares. ICO is a fairly new venture, that is growing fast because of the development of new cryptocurrencies. 2017 was the breakthrough year for cryptocurrency where over $5.6 billion was collected from different ICO projects. This amount was raised from about 430 successful cryptocurrency ventures. Despite this success, there has been a number of unsuccessful ICOs with only 48% of the ICOs in 2017 managing to reach their soft cap. Today, there are over 1500 cryptocurrencies in existence and more and more cryptocurrencies are coming up. This has increased competition making it even harder for new cryptocurrencies to reach their soft copy. For a cryptocurrency to be successful in 2018, there is need to have an effective ICO marketing strategy to promote the ICO and enable it to reach its target market. A good website can act as the foundation for your ICO marketing strategy. It is what will provide an impression to your target audience. So, before you launch your ICO, make sure you have a well-optimized website. Plan the layout of your website beforehand. It should be easy to navigate, with a simple design that will enable visitors to get as much information as possible in the shortest time possible. A website that has a lot of unnecessary information can drive visitors away which will hurt your ICO marketing. 2. Ensure that you Post Everything about your ICO Project on the Website. Providing a lot of information creates trust among your site visitors hence promoting your ICO. Easily accessible information also attracts quality traffic to your website. And to tap this quality traffic, ensure your website has a call to action where investors can invest in the presale. 3. Use Social media to reach the Cryptocurrency Community. There are many facebook groups and pages that discuss blockchains, ICO, and cryptocurrency. This is a good channel to update the community and build your ICO. This exposes your ICO to the largest community of cryptocurrency. You can tap into this exposure by creating subreddits as well as commenting on the already created threads. Telegram holds the potential of being the next big performer in community building and messaging. This platform is growing each day and has been embraced by the crypto community. This makes it a must use platform for your ICO marketing. By providing quality content on Quora and staying active on regularly updated threads like https://www.quora.com/topic/Initial-Coin-Offerings-ICO, you stand a chance of gaining more exposure. Most investors and cryptocurrency enthusiasts frequent the specialized sites to learn more about cryptocurrency and the available opportunities. Marketing on such sites provides you with a better chance to communicate your ICO to the right audience. Majority of the social media platforms do not require much capital to run and therefore the best channels to use if you have a small budget. Looking for ICO Marketing Services? Dot Com Infoway provide End-to-End ICO Marketing Services in helping new businesses promote their ICO through successful marketing campaigns and make them reach their fundraising targets. Book a free consultation with our experts. Once your website is ready, you need to do an extensive public relations outreach. The best and most effective method to give your ICO project a large outreach is by use of press release. There are several top-tier websites that you can approach to publish your press releases. Some of these sites are specific to crypto and therefore help you reach your intended audience. While most of these sites require you to pay a premium, there are those outlets that will be happy to publish quality well-written content for free. If you have a big budget, of about $50,000, for your ICO marketing, you can hire the services of an agency. These are professionals who can handle all your PR and media outreach. While this might be expensive you are guaranteed of far-reaching exposure. For a low budget ICO marketing campaign, you can use the Do-It-Yourself approach. You will be required to generate quality content and have it published on different sites. Despite the rising popularity in cryptocurrency, it doesn’t mean you should market your ICO to the masses. You will end up spending a lot of time and resources without achieving meaningful conversions. So, to be on the right track, ensure you understand your target audience and direct your efforts to that specific group. Segmenting your audience will help you in choosing the right marketing campaign for each group. This way, you will realize better conversions. 2. Seek the services of an ICO advisor. An ICO expert has the required experience to help you promote your ICO. You should, therefore, retain an ICO advisor to assist you to oversee the project. Such an expert understands the Dos and Dont’s in the crypto industry. They will be able to tell you which marketing strategy will work and which will not. This will reduce the losses that come with putting efforts in non-productive ventures. The most important thing to make your ICO successful is to make it transparent. Transparency creates trust and confidence in the buyers which increases the funds collected during the initial offering. To create confidence among buyers, give information of all team members behind your project. You should also give all financial information. People will also have questions to ask about your ICO. So, make sure you have a very responsive team on all the online platforms to respond to potential buyers’ questions and concerns. 4. Have an inspiring story. Backers like to associate with ICOs whose mission and vision they can relate to So, if you have an interesting story to tell about your ICO, chances are, you will turn your potential customers into supporters. This increases the chances of success for your ICO. 5. Make your ICO compliant. ICO is a relatively new venture, as such compliance is a very critical issue. There is a need for any ICO to be compliant for potential customers to think of investing in it. If you want to be successful in this field make sure your ICO follows all the SEC guidelines from the word go. This will help make your ICO strategy successful. Finally, to promote ICO, you need to choose a combination of ICO marketing strategies that work for you Creating an effective strategy will require time and in-depth analysis. So take your time to study what works best and on top of it all ensure your ICO is trustworthy and compliant. 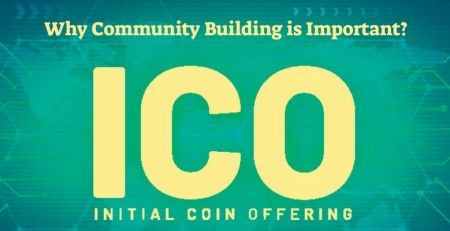 Why Community Building is important for ICO Marketing? How Website Consultant Can Help Improve Your Website UI and UX?